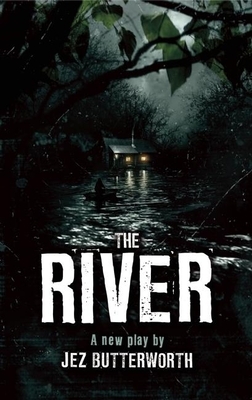 The River (Paperback) | The Drama Book Shop, Inc.
A remote fishing cabin, a man and a woman, and a moonless night - The River asks; when we find each other, are we trying to recapture someone we once lost? Tony Award winner Hugh Jackman starred in the hit Broadway production of The River in 2014 after its successful run in London. Jez Butterworth is also the author Mojo, The Night Heron, The Winterling, Parlour Song and Jerusalem. His plays have premiered in London at the Royal Court Theatre and the Almeida Theatre and in New York City at the Atlantic Theatre and on Broadway. He has won numerous awards for his work, including the E. M. Forster Award from the American Academy of Arts and Letters. He lives in Somerset, England. Jez Butterworth's playwriting debut, "Mojo," was staged at the Royal Court in 1995, and was acclaimed as 'one of the most dazzling Royal Court main stage debuts in years' ("Time Out"). Since then his plays have been premiered at the Royal Court, at the Almeida Theatre and at the Atlantic Theater in New York. "Jerusalem" ran for two hit seasons in the West End, as well as on Broadway. His films include "Birthday Girl," "Fair Game" and an adaptation of "Mojo."